Carla Gonçalves, PhD student in the Yeast Genomics Lab, at UCIBIO in FCT NOVA, was awarded the Best Oral Presentation at the Comparative genomics of eukaryotic microbes: Dissecting sources of evolutionary diversity Conference, held in Sant Feliu de Guíxols, Spain (14 - 19 October 2017). The title of Carla Gonçalves presentation was Horizontal gene transfer events are involved in reshaping sugar metabolism in fructophilic yeasts. 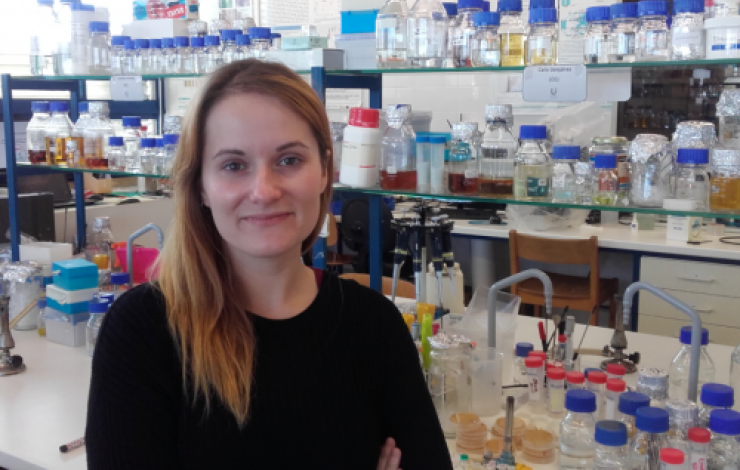 Carla Gonçalves is doing her PhD thesis on the project Unraveling the molecular basis of the evolution of fructophily in yeasts: a comparative genomic approach, under the supervision of Paula Gonçalves, co-group leader of the Yeast Genomics Lab and Professor at FCT-NOVA.